– We treat each other, our customers, partners and suppliers with respect. – We recognize that all people and all jobs are important. 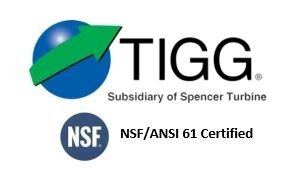 – We are dedicated to the continuous improvement of TIGG for the ultimate benefit of our employees, customers, and stakeholders. – We are hard-working, diligent and passionate about what we do. – We are dedicated to satisfying customer needs and meeting or exceeding their expectations. – We honor the commitments we have made to them. – We have the experience and skills to provide reliable, creative, and effective solutions for our customers. – We share our expertise internally to foster individual as well as company growth. – We produce and deliver the highest quality products and services to our customers on time and on budget. – We inspire trust by being honest in what we do and by taking responsibility for our actions.